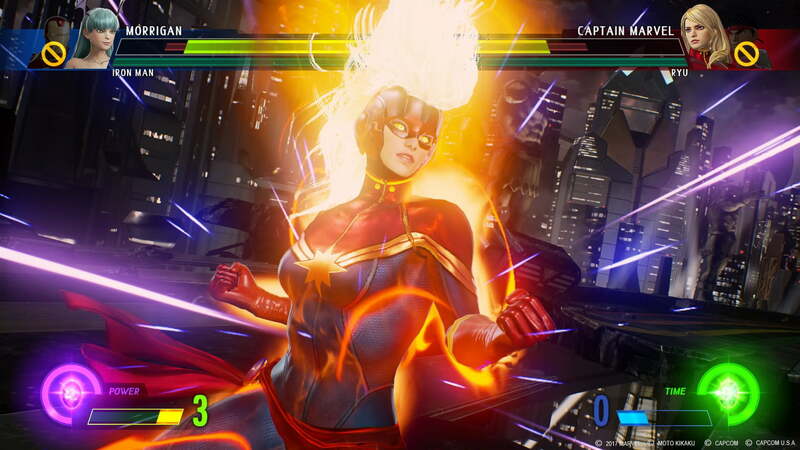 Marvel vs Capcom: Infinite streamlines the series so it’s more fun for newcomers, while maintaining the intense technical action for competition. There was a time, not so long ago, when it seemed like we’d never get to play another Marvel vs. Capcom game. When Capcom removed the Marvel vs. Capcom games from digital circulation in 2013, it seemed like Street Fighter’s unique, nonsensical sister franchise had come to an end. So it’s no surprise that with Marvel vs. Capcom: Infinite, the game that’s bringing the franchise back from the dead, Capcom wants to wipe the slate clean. Though the game faithfully maintains much of the same form and structure you remember — Marvel superheroes and video game in characters squaring off in over-the-top team-up battles — the game has been streamlined and cleaned up, for lack of a better term. The result is a game that aims to turn Marvel fans who are fighting game rookies into competitive players, and give pros the ability to better show off their skills. 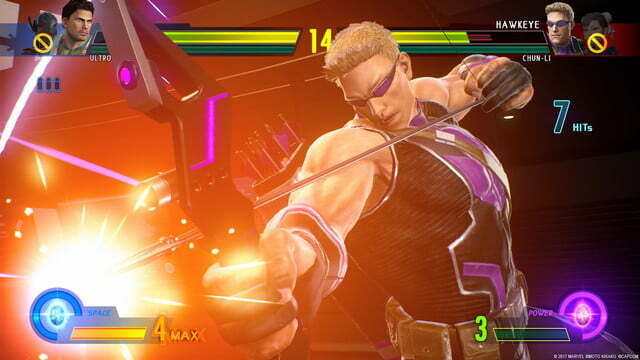 Compared to the last game in the franchise, Marvel vs. Capcom 3, Infinite feels positively pared down. The series signature tag-team combat, where each player chooses a squad of Marvel and Capcom characters that can be swapped on the fly, returns. Unlike past games, however, Infinite players will duel in teams of pairs, rather in three-person teams. There’s no need to worry about picking a “support move,” as each fighter has one specific call-in move.The bombastic, flashy effects tied to even standard punches and kicks have been toned down, making the game easier to read at a glance. While some MvC purists may balk at the changes, these are all undeniably good things. The game is easier to play, and more fun to watch. While some purists may balk at the changes, they are all undeniably good things. Rather than picking a third character, you’ll pair your tag team with one of the Infinity Stones of Marvel lore. The six stones, which give superheroes god-like powers in the comics, add a unique special move and super attack, which is connected to its own Infinity Meter. 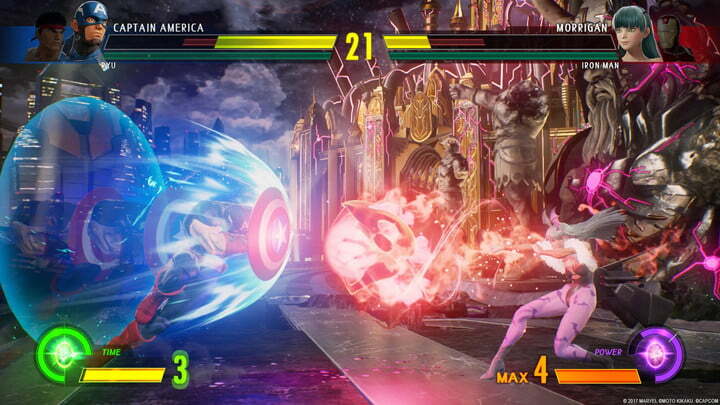 The Infinity Stone special moves, which are tied to a single button press, add a type of attack or maneuver that can completely rebalance a team. The Time Stone, for instance, adds a long dash that can close the distance between you and your enemy, or even move behind them without jumping. Pair it with a slow-moving character like Hulk or Thor, and even a slow, strong character can cross the screen instantly. The two other stones we saw conferred similarly useful moves. The Power Stone gives a punch that can knock an opponent away, and the Space Stone pulls them forward, potentially forcing them into harm’s way. Similarly, the Infinity Stone supers offer a serious, but temporary, advantage when activated. The Space Stone traps your enemy in a cube, limiting their ability to dodge or maneuver. With the right characters, these moves can be deadly. Knowing how to pick a pair of fighters and a complimentary stone will be just as essential as knowing a character’s longest combos. 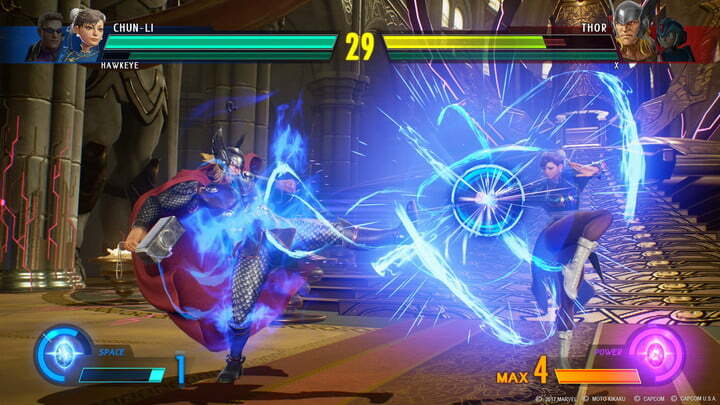 For those players who are new to fighting games — which Capcom hopes will be many — the game offers a tiered combo system. The first tier is button mashing. Pressing any punch or kick repeatedly will automatically string together a long, simple combo. By pressing light punch (X on PS4) eight times, we landed a light, fast combo, which included a launcher — a move that sends your opponent flying into the air – and a follow-up. Such a combo may not help you beat a pro, but it makes you feel much cooler than just jamming down on all the buttons. Tier two adds simple, universal combos. On PlayStation 4, for example, every character can tap square, X, circle, then down and triangle. It’s a little more complex, and conveys the timing when punching in a combo. After mastering those simple combos, there are still traditional combos to master for each specific character, blending specific attacks and special moves to do devastating damage. Even making the jump to that final step, however, is a bit easier, thanks to the fact that many universal moves, such as switching characters, supers, and, as we mentioned above, using the Infinity Stones, are tied to single or double button presses. None of this impedes the capabilities of the competitive set; these stepping stones just give new players the ability to feel a little less lost as they learn their way around the game. In fact, some of the streamlining has opened the door for more strategy. With the return to pairs of two characters, Capcom has changed the parameters for swapping between two characters. Past Marvel vs Capcom games generally restricted switching characters to when your current fighter was inactive. In Infinite, characters can jump in at any time, even mid-combo. 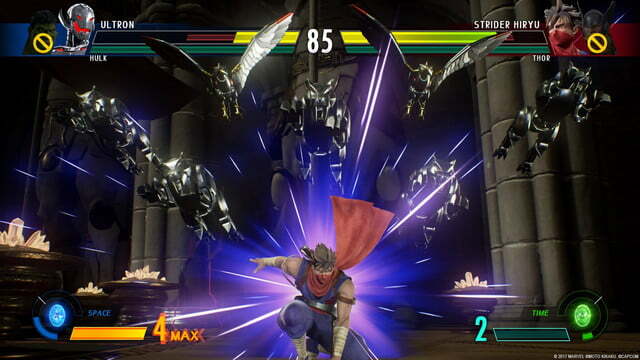 When swapping mid-animation, the first fighter will complete their move, then jump away. Knowing this rule of thumb, you can strategically stagger your swap, allowing for strategic feints and dual-character combos. 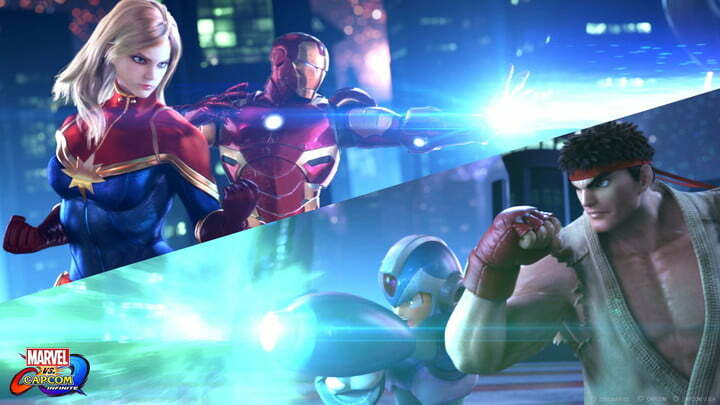 Why are Marvel and Capcom fighting again? A fresh start for Marvel vs Capcom also provides the perfect opening for a narrative and aesthetic reboot. The story behind Marvel vs Capcom has never been especially clear (or important), but with Infinite the game’s narrative will play a more important role. Infinite will explain how the two universes come together. 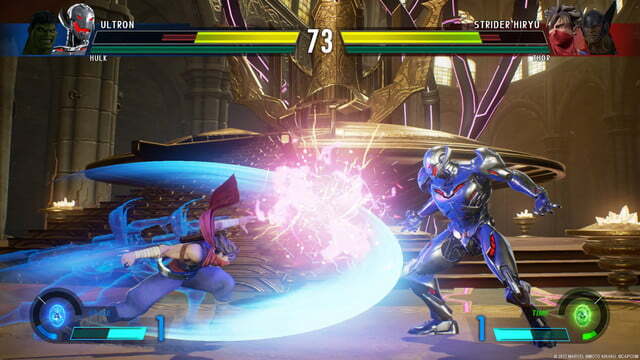 Ultron and Mega Man X villain Sigma use the Marvel universe’s Infinity Stones to bring the two worlds together, and remake them in their own image. Streamlining aside, Marvel vs Capcom: Infinite will be just as crazy as any game in the franchise. 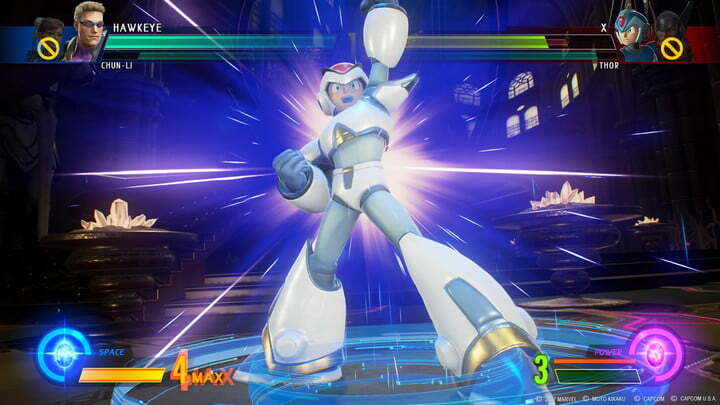 Heroes and villains on both sides will have to team up to defeat this new, singular robot master called Ultron Sigma. Put another way — Streamlining aside, Marvel vs Capcom: Infinite will be just as crazy as any game in the franchise. Though that plot has absolutely nothing to do with the Marvel cinematic universe, the influence of Marvel on the game is very clear. After decades of hewing closely to the character designs established in Capcom’s 1995 fighter Marvel Super Heroes, series staples such as Captain America and Iron Man now look and move more like their big screen counterparts. On the same note, the addition of new fighters like Ultron, Ms. Marvel, and Rocket Raccoon show that Marvel’s movie-centric hierarchy of characters has influenced the roster. In terms of how they play, veterans will be happy to hear that most of the returning characters feel like past games. Capcom has made some dramatic changes, though. 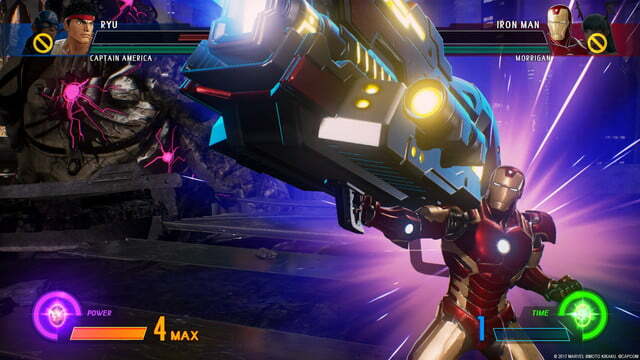 Iron Man has new special moves like floating mines, which make feel more like a “keep-away” fighter. 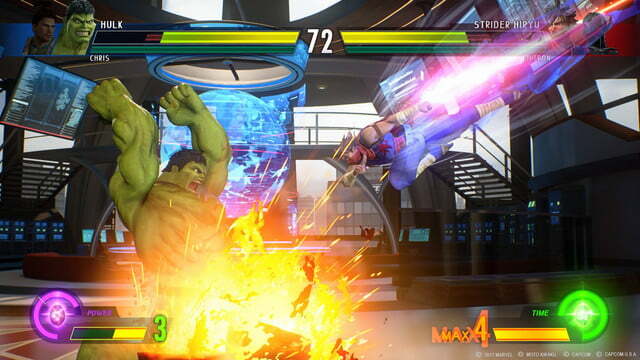 Hulk can bounce off the wall of a stage and launch himself to the far end of the screen. These changes, along with the game’s new characters, are as clear and directed as any fighting game. Lastly, we must address the elephant in the room. When Street Fighter V launched in 2016, it lacked several key features at launch, including leaderboards, multiple modes, and the game’s in-game currency at launch, and it took the publisher several months to deliver a “complete” product. It was a disaster. Capcom sees MvC: Infinite as an opportunity to show that it can launch a game properly. Capcom said in no uncertain terms that Infinite will have a story mode, ranked matches, and mission mode, which offers time trials and other challenges, on day one. 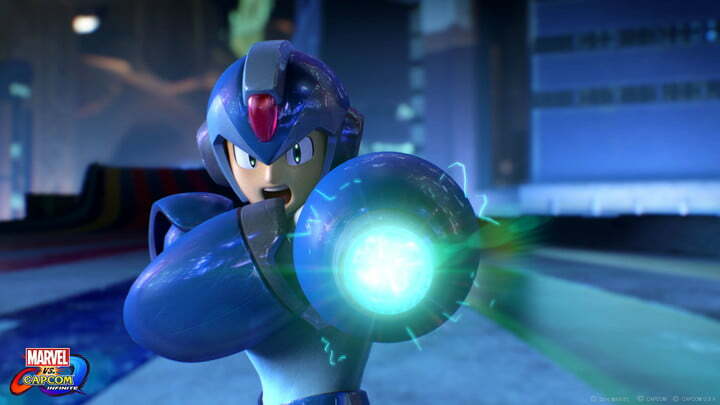 There’s also a “season” of post-launch DLC characters in the works, six characters starting with the Capcom side’s ultimate villain, Sigma from the Mega Man X series. Based on what we saw, we have no way of knowing whether Capcom will be able to deliver, but for what it’s worth, the parts of the game we played were in very good shape. If you can look past Capcom’s failings, or are simply willing to give the publisher another chance, Infinite seems to be a great opportunity for fighting game fans whose skills may not live up to their enthusiasm. Between its simplified combos and more technically minded design, it has the potential to make fighting games more fun for everyone.